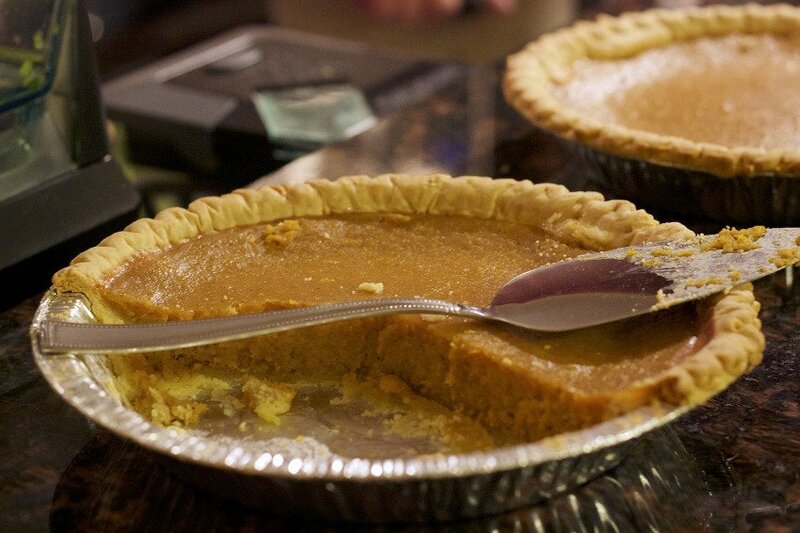 Some holiday traditions should be abandoned, like slaving away in the kitchen. What fun is it if everyone else is having a good time but you’re stuck with the cooking? If you don’t enjoy the hassle of making a big holiday dinner in your sticks and bricks home, it’s time to start the holiday season on the road with RVing holiday dinners. 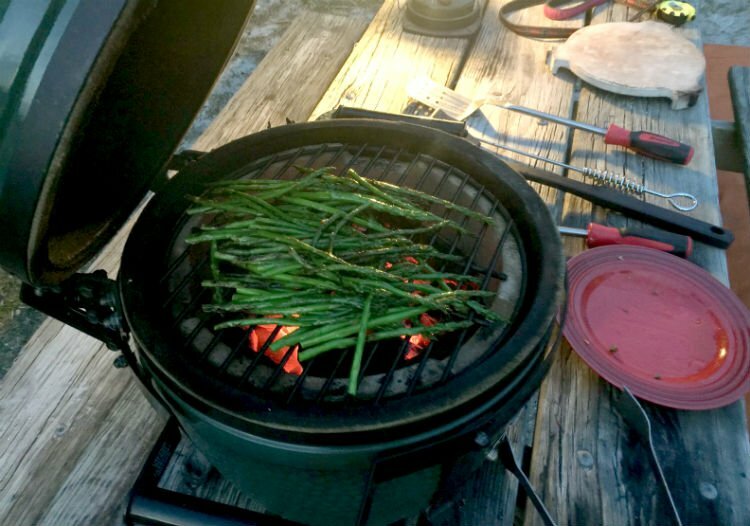 It`s easy to cook old favorites such as green beans, brussels sprouts or even asparagus – seen here – over an open grill at a campsite for a side of any holiday dinner. Photo courtesy of Bruce B www.airforums.com member. Toss the turkey and try Cornish game hens or turkey sausages. Most RV ovens are too small to cook turkeys, so consider grilling your main meat dish instead. Pre-cook time intensive side dishes like squash and potatoes in the pressure cooker. Make them in shifts then pop them in the oven together. Cast iron skillets for sides can be placed on a stovetop or campfire. Cook old favorites like green beans or seared Brussels sprouts with garlic in this multipurpose pan that’s a must-have for RVers. 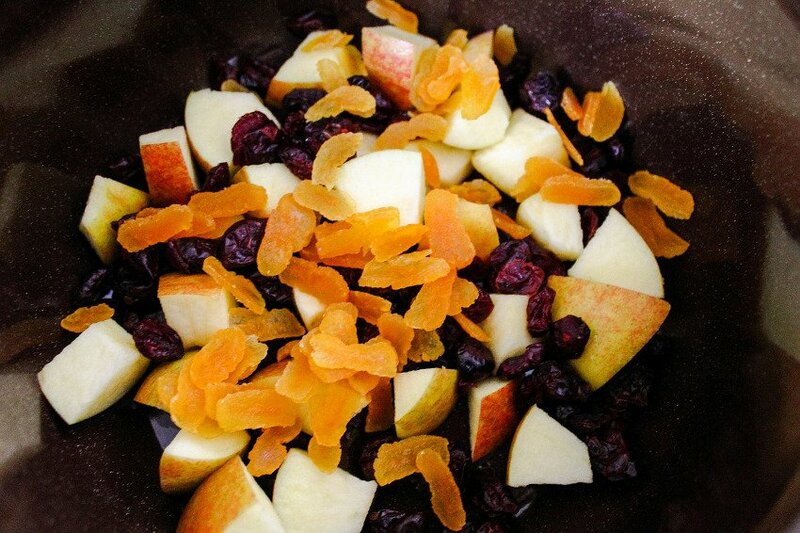 Fruit compotes are easy to make in RV kitchens. Keep your favorite holiday meal recipes and retire the rest. For some added excitement turn to these innovative RVing holiday dinner recipes spotlighted by RVlife.com food writer and culinary maven, Marian Platt. Make old favorites ahead of time. Great RVing holiday meals don’t have to be restricted to the Fourth of July and Labor Day. Make the most of your year-round camping climate by adding Thanksgiving and the winter holidays to your annual RV celebrations.